Below you fill find all funeral homes and cemeteries in or near Sumter. Suburbs of Sumter: Bon Air, Brogdon, Frens, Highway Four Forty One, Hoyt Heights, Oswego, Stateburg. Sumter is also known as: Sumter County / Sumter city. Their current mayor is Mayor Deron McCormick. Zip codes in the city: 29150, 29151, 29153, 29154. Sumter County funeral flowers can be purchased from one of the local funeral shops we partner with. Some of the notable people born here have been: Freddie Solomon (american football player), Ricardo Colclough (american football player), Dexter Wynn (american football player), O'Neal Compton (actor and photographer), Terry Vaughn (american football player), Cleveland Pinkney (american football player), and Eddie Edwards (american football player). 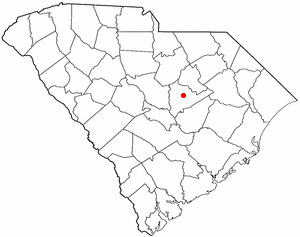 Sumter /ˈsʌmtər/ is the county seat of Sumter County, South Carolina, United States. Known as the Sumter Metropolitan Statistical Area, the namesake county adjoins Clarendon and Lee to form the core of Sumter-Lee-Clarendon tri-county area of South Carolina, an area that includes the three counties in the east central Piedmont. The U.S. Census Bureau estimated the city's population was 39,643 at the 2000 census. The 2010 census puts the city at 40,524. It was noted by Statesville Landmark on February 10th, 2019 that Anita Marie McRacken (Chislaghi) passed away in Mooresville, North Carolina. Ms. McRacken was 48 years old and was born in Sumter, SC. Send flowers to express your sympathy and honor Anita Marie's life. It was disclosed by Star-News on January 17th, 2019 that Susan Blalock (Hostettler) passed on in Wilmington, North Carolina. Ms. Blalock was 66 years old and was born in Sumter, SC. Send flowers to share your condolences and honor Susan's life. It was noted by The Commercial Appeal on December 9th, 2018 that Barbara Baxter (Clinton) died in Memphis, Tennessee. Ms. Baxter was 73 years old and was born in Sumter, SC. Send flowers to share your condolences and honor Barbara's life. It was written on November 16th, 2018 that Bertie Jean Noordhoek (Ray) died in Lincoln, Nebraska. Ms. Noordhoek was 85 years old and was born in Sumter, SC. Send flowers to share your condolences and honor Bertie Jean's life. It was disclosed on September 27th, 2018 that Norman Dumond died in Sumter, South Carolina. Dumond was 88 years old and was born in Madawaska, ME. Send flowers to express your sorrow and honor Norman's life. It was written by Hartford Courant on September 16th, 2018 that Louise Coley (Robinson) passed away in Connecticut. Ms. Coley was 78 years old and was born in Sumter, SC. Send flowers to express your sorrow and honor Louise's life. It was revealed by Register Herald on July 22nd, 2018 that Thomas E Jr Lilly died in Soak Creek, West Virginia. Lilly was 55 years old and was born in Sumter, SC. Send flowers to share your condolences and honor Thomas E Jr's life. It was disclosed by New Haven Register on July 8th, 2018 that Virginia McKnight (White) died in Connecticut. Ms. McKnight was 77 years old and was born in Sumter, SC. Send flowers to share your condolences and honor Virginia's life. It was written on May 30th, 2018 that Clara Elizabeth Reed (Campbell) perished in Sumter, South Carolina. Ms. Reed was 84 years old and was born in Swords Creek, VA. Send flowers to share your condolences and honor Clara Elizabeth's life. It was reported by Statesville Landmark on May 22nd, 2018 that Dena Hamby (Earle) perished in Taylorsville, North Carolina. Ms. Hamby was 56 years old and was born in Sumter, SC. Send flowers to share your condolences and honor Dena's life. Its population was 39,159 at the United States Census, 2000 census. The city is named after General Thomas Sumter, who was known as the "Fighting Gamecock", who commanded troops in the American Revolutionary War and served in the United States Congress. Sumter started as a plantation settlement town, and grew over the years to be more industrialized. It is the principal city of the Sumter, South Carolina United States metropolitan area Statistical Area. Sumter was incorporated in 1845 as Sumterville, and the name was shortened to Sumter in 1855. Today, industry in Sumter is mostly manufacturing, military, and medical related. The official website for the city of Sumter is http://www.sumtersc.gov/. Bullock Funeral Home located in Sumter, South Carolina. Listing all funeral homes in Sumter, South Carolina so you can easily send flowers to any location (same day delivery) or find any funeral service. funerals in Sumter, SC 29150 on Yahoo! Local Get Ratings & Reviews on funerals with Photos, Maps, Driving Directions and more. Directory of Sumter Funeral Homes in SC yellow pages. Find Funeral Homes in Sumter maps with reviews, websites, phone numbers, addresses, and business profiles. Sumter, South Carolina funerals: A free and helpful guide to Sumter SC funeral homes and funeral services. We work with local florists and flower shops to offer same day delivery. You will find budget sympathy flowers in Sumter here. Our funeral flowers are cheap in price but not in value.